Colors show Madhubala Ek Ish Ek Junoon has kicked off with its Holi Celebrations. A huge party is thrown at at the Kapoor Manison for the family but there is only one condition, Abhay (Gunjan Utreja) does not like Colors and he does not wish to be colored on the Festival of Colors. Bebe (Nilu Kohli) is sad that her grandson is not playing and enjoying the Festival and was seen sharing the same with Madhu (Drashti Dhami) and Madhu promised Bebe that things would change this Holi. To add to the fun viewers also saw Dolly Chachi (Utkarsha Naik) feed Madhu Bhaang Pakoras’s which will bring a different side of Madhu before all. Yes not only will viewers get to see a Drashti Dhami put on the Talli Act, the drunken Madhu Jr. due to the effect of Bhaang will start dancing, which will leave Abhay and the rest of the Kapoor family surprised. In her drunken state Madhu will also colors Abhay which surprisingly will not anger him but amuse him. Bebe will notice that what nobody could manage to do Madhu did. Not only does she color him but makes him laugh as well. Will this pave for a new turn of events in the show? Stay tuned and keep reading Latest Spicy Buzz for more updates regarding your favorite shows. 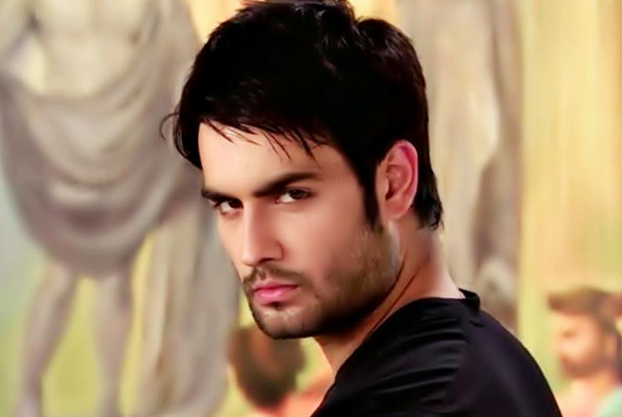 RK aka Vivian D'sena's TO COME back for his FANS in Madhubala Ek ishq Ek Junoon -- BREAKING NEWS !! Do you want Vivian Dsena back in Madhubala? Holi is round the corner and the stars are already in mood to play with colours this Holi. While the telly stars are pledging to play waterless Holi this year and promise to not get naughty, things were different last year when they came out to get dirty on Holi at the Colors bash. From Tina Dutta of Uttaran to Balika Vadhu Toral Rasputra, the telly actresses had not shied away from getting wet and dirty in colours last year. Not just hotties, even Balika Vadhu actor Siddharth Shukla and Drashti Dhami of Madhubala – Ek Ishq Ek Junoon had come out to play Holi with the Colors stars. Check out how the telly stars got dirty in colours last year. After DMG’s Holi, Drashti Dhami once again dances to the tune of “Left Leg aage aage” in Madhubala:EIEJ Holi Party!!! Talli Madhu (Drashti Dhami) will be doing wonders this Holi in Colors popular show Madhubala Ek Ishq Ek Junoon. Madhu who has been assigned to keep Bebe happy along with taking care of her health has promised Bebe that Abhay Kapoor (Gunjan Utreja) will enjoy the party and add colors to his life this Holi. TellyTadka already reported that Madhu under the effect of Bhaang will be seen dancing in the show, and not just any song; the lovely lady will be dancing to the tunes of “Left Leg Aage Aage”. Yes viewers will see Madhu don the role of Tani Partner and make Abhay essay the role of Raj during the Holi Party. Coincidentally this is the second time Drashti Dhami will be seen dancing to this song. Previously when Drashti essayed the role of Dr. Muskaan Chadda in her debut show Dill Mill Gayye she danced to the same song with her fun gang and that too on the occasion of Holi. Now once again Drashti will be seen matching her steps to this wonderful dance number but in a more Rab Ne Bana Di Jodi Style. How many of you remember the DMG Holi party and Drashti’s dance? Are you excited that after almost 5 years the JDJ-6 Winner will be dancing to this number??? Following dreams When I was in college, I wanted to be a TV host. But, I had no idea on how to get started. So, like most under-grads, I started preparing for MBA entrance examinations, but while attending a career-orientation seminar, I read this sentence 'You shouldn't chase degrees but chase your dreams' that I made up my mind about what I wanted to do. I'd been shortlisted by IIM Lucknow but I joined a masters' course in dramatics to enhance my acting skills. Actor by chance I started hosting local events, and moved to Mumbai from Chandigarh. I had my share of struggle as I didn't know anyone in entertainment industry, playing bit roles in TV shows. I've been an anchor for eight years and then I was asked to audition for MEIEJ. I hadn't expected to bag the role! Vivian's cool, so am I Though Abhay Kapoor, my character has no connection with RK the character Vivian (Dsena) immortalised, people continue to compare us. Recently I met Vivian at an event and he seemed like a cool guy. We chatted about the show, he shared his experiences and was all praise for the team. Real me I am very focussed. I went on a rigorous exercise and diet regimen to get in to shape. I went vegetarian for two and half months to lose the flab. At this point I have no time for relationships. Work is the only priority. I can't focus on any one else besides me. He has always been the silent partner trying to stay away from the limelight. We are talking to Abhinav A Shukla , producer of Nautanki Films who has always delivered top notch quality when it comes to production values giving all of the projects a cutting edge which guarantees audience attention. Here, after much persuasion he talks about his split with partner Saurabh Tewari, the split of the shows and how he wants to once again make Madhubala a hit show. We have already reported about you and Saurabh Tewari parting ways. While he has already spoken about it we would like to know more about it from you too. The parting was amicable. Saurabh decided to move out and start his own production house. Initially, we had both started this company but now Nautanki Films stays with me and I will be in charge of the creative and production teams both. What happens to the projects you two have started together? We both are professionals and our professional integrity is at stake and it was mutually decided that Rangrasiya will be with Saurabh whereas Madhubala - Ek Ishq Ek Junoon will stay with me and we individually will continue to work on these shows and try and see where we are headed to create. We have finished the shooting of the film 21 Topon ki Salaami and currently we are doing the editing and the post production but in a week or two we will be ready to announce a tentative release date. Saurabh will have no involvement in the film henceforth. He was initially involved with the details and the concept but not now. I am satisfied with the team working on the film and we all plan to give a good product to the audience. No doubt Rangraisya was very, very exciting. When it came to production quality we did our best to define the best of production capabilities in India as Producers. Today the superb product which is Rangrasiya is the cinematography and technically how it looks on the small screen. It was a very exciting and satisfying experience to produce Rangraisya. It's a promise from Nautanki Films that we will take this endeavor further whether it is for TV or Films. We will not leave any stone unturned to keep to this promise. It is our promise to the loyal viewers whether it is Madhubala or shooting for the intense opening scenes of Rangrasiya or whether it was for Do Dil Ek Jaan when we took the initiative to go to a difficult location like Kashmir to shoot Rangraisya is with Saurabh now and I am sure he will continue to maintain the standards that we have set as producers and if he ever needs my help I will always be there for him as a friend. Now that your focus is on Madhubala what are your plans for the same? We are hoping to create an impact in Madhubla with the leap and new storyline. We are planning to bring in heavy drama along with good story and hook points and I am sure that it will work wonders soon. I also have a new creative team in place who will come in with fresh ideas when it comes to storytelling and this will work out in a week or two. There recently was a news about you planning to get Vivian Dsena back to Madhubala. How true is that? It is a big rumor and as long it helps me generate good TRPs it is great (laughs). However, on a serious note in Madhubala we have just introduced a new track and in the story the new characters are trying to find a foothold. Madhu (Drashti Dhami) is trying to create an identity of her own. She is fighting against all odds and we are trying to show the struggle of Superstar RK and Madhubala's daughter and then slowly later we will weave in the growing closeness between Abhay Kapoor (Gunjan Utreja) and Madhu and also focus on Abhay Kapoor's family politics. However, we can never say never and later if the show demands that Vivian comes back then as a commitment to the audience we will get him back but only after there is a logical reason to do it, otherwise there are no plans right now. I am sure if ever we have such a thought and I take it to the channel, Colors Mr. Prashant Bhatt & Mr. Raj Nayak and the entire creative team will be very supporting and flexible. They will have no issues if they are convinced about the creative aspect of the story but as of now nothing like that has happened. We are being bombarded with messages on social networking sites and messages on forums like India-forums to bring Vivan back but sometimes even if you want to pursue something, it has to fit in the story and the character. Gunjan Utreja who came in after the leap has not definitely found a warm welcome. Gunjan has the baggage of RK and Madhubala's story. No doubt, since RK was the face of the show, his character was strong and people loved him. So he has the battle and baggage of Madhubala prior to the leap and I think we need to give him time. The time when the leap happened the track between Madhubala and RK had saturated and now we need to give sufficient time to the new story and new characters to catch on. More projects will follow but currently our most important agenda is to take Madhubala where it was earlier... remake the success story. And my second priority is to release my film latest by July. The point is that I don't want to increase my work load. These two projects need sufficient time and money to make them the best since that is the real credibility of Nautanki Films as Producers. Is Vivian Dsena returning to Colors’ Madhubala? Madhubala –Ek Ishq Ek Junoon, the popular show on Colors has been in the headlines of late for the major split that has happened between the makers Saurabh Tewari and Abhinav Shukla. Tellychakkar.com has already given our readers exclusive news of Madhubala being creatively managed by Abhinav Shukla’s Nautanki Films, while the other show of the makers Rangrasiya will be managed by Saurabh Tewari’s newly formed company, Tequila Shots Productions. Well, that is on the production front. Track wise, viewers will see some major twists coming their way. No, we are not yet talking about Vivian Dsena’s return to the show, as that is still in talks. We are speaking about the next major turmoil that will come Madhu’s (Drashti Dhami) way. Tellychakkar.com had earlier reported about Madhu confessing her love to Abhay (Gunjan Utreja) in her ‘bhaang’ effect. Our source tells us that post the confession, Madhu will pass out and Abhay will help her into his room in order to put her on bed. While he will be placing her on bed, somebody will click few pictures which will give an appearance that both Madhu and Abhay are in a compromising state. So, what next? Well, the person who would have clicked the pictures would have sent the pictures to the media. And in no time, Abhay’s house will be filled with media people who will start throwing their dirty questions at Abhay. We hear that both Abhay and Madhu will be shocked to see them with the pictures. Abhay will try to explain things to them, but the media will blame Abhay of getting intimate with his PA. If sources are to be believed, Pam (Deepshika Nagpal) and others in Abhay’s family will prompt Abhay to get Madhu speak up before the media, and explain her position, and to clear out facts that she has just passed out owing to the bhaang effect. However, Madhu will be teary-eyed as she will not agree to come before media as she will not want her dida (Shama Deshpande) to know about all this. Will Abhay agree to Madhu’s pleas? How will Abhay salvage the situation? We tried calling Gunjan, but could not reach him. Raj Baddhan asked: "Who's your favourite actress from the Indian television industry?" Jennifer Winget answered: "Drashti Dhami because she's a friend. She has improved. She looks great and acts great." Madhubala which airs on Colors TV is steadily gaining momentum in the TVT chart and some more twist are being added to the show. Abhinav Shukla is currently managing Madhubala and promised in a media statement,that he will bring twist in the show to gain viewers and bring the show back on track. In the upcoming episode,Madhubala and Abhay will get their photo clicked accidentally in a compromising pose.Which will lead to a lot of drama in the show and Madhubala's character will be questioned by many. TV shows to have a dry Holi this year. The Holi sequences, which stretch for more than a week on TV soaps, are being completed in a couple of days using dry colours only. Though, dry colours have been in vogue for over a few years now, TV soaps have gone the extra mile to reduce water wastage on the sets this season. This initiative has been introduced by production houses to conserve water. In addition to this, production houses feel that most actors fall ill after spending long hours shooting for a Holi sequence. MADHUBALA 2014 Holi celebrations: A small water tank created and dry colours used. Episodes dedicated: Shot three days ago, the Holi sequence will be spread over three episodes. In the serial Madhubala, the main lead Gunjan Utreja, who plays Abhay, shot for its Holi sequence this week. Though dry colours were used throughout the entire sequence, there was a shot where the couple, Abhay and Madhu, had to fall in a water tank. Said Gunjan,"This year, the size of the water tank is much less compared to the last few years of Holi celebrations. The production house has kept in mind water conservation and reduced the amount of water used in the Holi sequence."